website accessibility is important for users experience and search engine ranking. Get design and layout tips for webmasters. 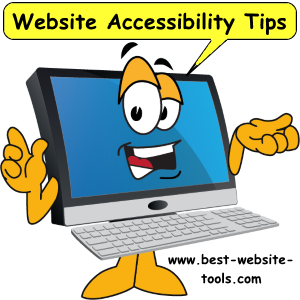 Website accessibility tips too improve design layout. 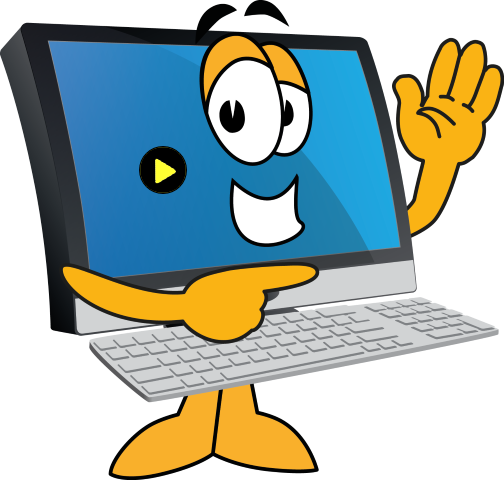 Okay all you webmasters, are your designs user friendly? Are they easy to read and accessable to impaired users? Ah hah? Never thought about it much did you? Here are some tips for your next design. Did you see the video? What did you take away from it? What's that? Going to think twice about ordering pizza online? Here are some best website tips. Clarity is very important. Text needs to stand out and be large enough to read without it having to be scaled up. In your style sheet you should set font-size to 100%. Not so many px, (exalmple 14px). Like this "font-size:100%;" The reason is that all browsers have a default size, typically 14px. However the user can adjust this size to large, normal or small. If you give your text a specific size (example: font-size:10px;) the user will be unable to resize it, unable to read it and will leave the page. Say goodbye to those users. Contrast is very important. Your text should have a high contrast ratio. If your text has a low contrast ratio it blends into the background and can become unreadable. If users can't read your text they will find another website that they can read. Black lettering on a white background results in a contrast ratio of 100%. Light grey text on a medium grey background (and I have seen this) will make text blend in and virtually disappear. Say goodbye to users with poor vision. Only use alternate styling (color, size, underline and boldness) for text sparingly. These style changes should only be used to enhance or emphasize the words. If you over do text styling it loses its effect and becomes annoying. Say goodbye those visitors. Size matters, itty bitty and oversized elements tend to disorient some people. Images like words need to be easily seen. Too small with too much detail look more like a mistake than an intended design. Images that are too big will get ignored and may become annoying. Some users will scroll past large images others just leave the page. Location is key. Webmasters should layout their designs to achieve a "Most Wanted Response." That being to get the visitor to do something, like buy a product or click through to another page or fill in a form or download an ebook or do something. Locate images, buttons, click through links and text so it flows naturally into your call to action. Putting these calls to action in a prominent place makes it easy for your visitors to understand what you want them to do. Spacing is very important too. Your design elements need to have plenty of room around them. You want your visitors to identify the different elements easily. You do not want your design to look squeezed or empty. You need to space out images, text and videos so they fit together well. Empty space is also called white space. This term came about because paper is typically white. But it means the empty space on your page. Surprisingly you want lots of white space in your page, it makes elements easier to identify with and text easier to read. Make sure all your elements have enough white space around them. But not too much. You don't want your visitors to get the feeling the your design looks sparse or empty. Website accessibility is measured by Google and other search engines. When your page is good it will be shown to the most end users. If your website accessibility is poor Google notices that too. Poor website accesibility = poor search engine optimization. For users they want very readable text, large button sizes (and other links) and easy to find 'calls to action.' Search engines can tell if your page has these attributes and ranks your page accordingly. Want to know more about designing for the web? Try the search box below.